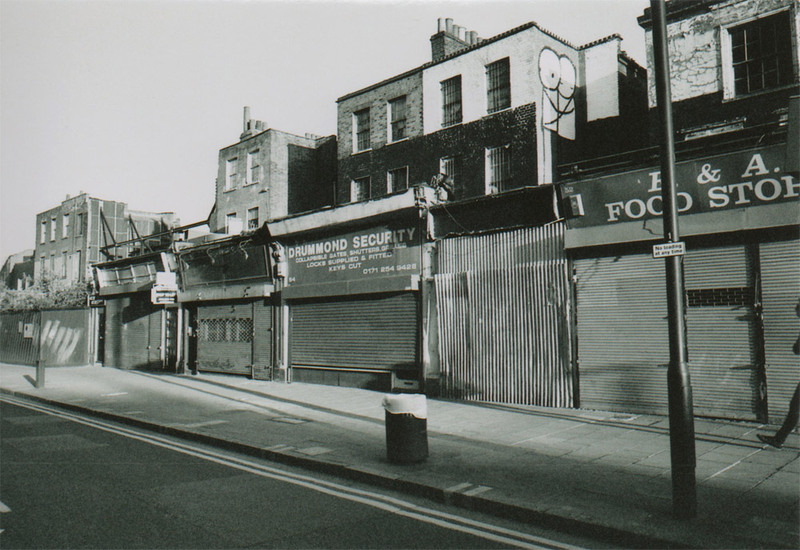 The Death of Dalston Lane. 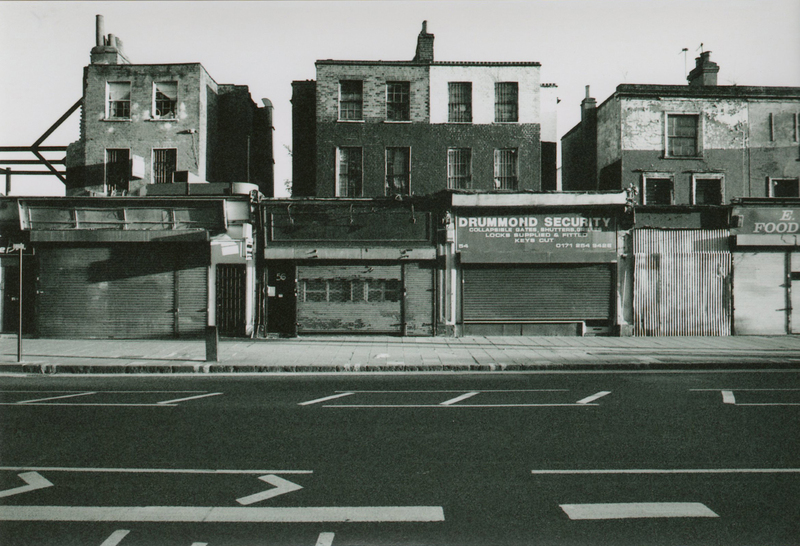 Posted: February 13, 2014 | Author: thelondoncolumn | Filed under: Architectural, Catastrophes, Conspiracies, Dereliction, Housing, Vanishings | Tags: Bill Parry-Davies, Dalston Lane, Death of London, hackney council, Iain Hamilton, Open Dalston | Comments Off on The Death of Dalston Lane. Dalston Lane, May 2010. © David Secombe. Hackney has entered a development agreement with private contractor, Murphy, which now proposes the complete demolition, rather than restoration, of the Georgian houses at Nos 48-78 Dalston Lane. In 2005 English Heritage had declared the houses to be “remarkable survivors of Georgian architecture”, and a “conservation led” project was to be the centrepiece of the newly designated Dalston Lane (West) Conservation Area. Now, due to years of neglect and vandalism, Hackney’s plan is to demolish the houses and redevelop with front facades in “heritage likeness“. An independent engineer’s report by Alan Baxter, which assessed the conservation potential of Dalston Terrace’s sixteen Georgian houses, has just now been revealed. It makes grim reading – in summary, there is some potential for repairing some of the houses, but Hackney’s “conservation led” redevelopment scheme would probably require their complete demolition and rebuilding. English Heritage once reported that the 200 year old Dalston Terrace houses were “remarkable survivors of Georgian architecture“. Sadly, since the Council acquired them in 1984, their chances of survival diminished year on year. Hackney did nothing to preserve them despite its vacuous platitudes about “championing the historic environment” and wanting a “conservation-led scheme“. Once a street is noticed it’s doomed. Endgame squatters, slogans. DALSTON! WHO ASKED U? PROTECTED BY OCCUPATION. Torched terraces. Overlapping, many-coloured tags. Aerosol signatures on silver roll-down shutters. Scrofulous rubble held up by flyers for weekend noise events. THIS WORLD IS RULED BY THOSE WHO LIE. They said, the ones who make it their business to investigate such things, that there was a direct relationship between properties that applied for conservation status and arson attacks, petrol bombs. Unexplained fires. Moscow methods arrived in town with the first sniff of post-Soviet money. Russian clubs were opening in the unlikeliest places. We no longer had much to offer in the way of oil and utilities, energy resources, but we had heritage to asset-strip: Georgian wrecks proud of their status. D.S. : The shameful saga of Dalston Lane is a microcosm of the fate of the East End as a whole: a sorry mash-up of corporate and council greed flying under the discredited banner of ‘regeneration’. The cynical, Blairite language of contemporary urban development expressed by developers and local authorities deserves a study in itself: ‘affordable housing’ (i.e. ‘unaffordable affordable housing’); councils ‘competing’ with other boroughs for resources (food? water? air? ); ‘conservation-led schemes’ (wherein conservation is a synonym for demolition – along the lines of, ‘We had to demolish the terrace in order to conserve it.’). It is language that might have been invented by Orwell. The fact that a Labour council is responsible for such wanton cynicism towards its own residents is deeply depressing and makes one despair for the fate of the city. 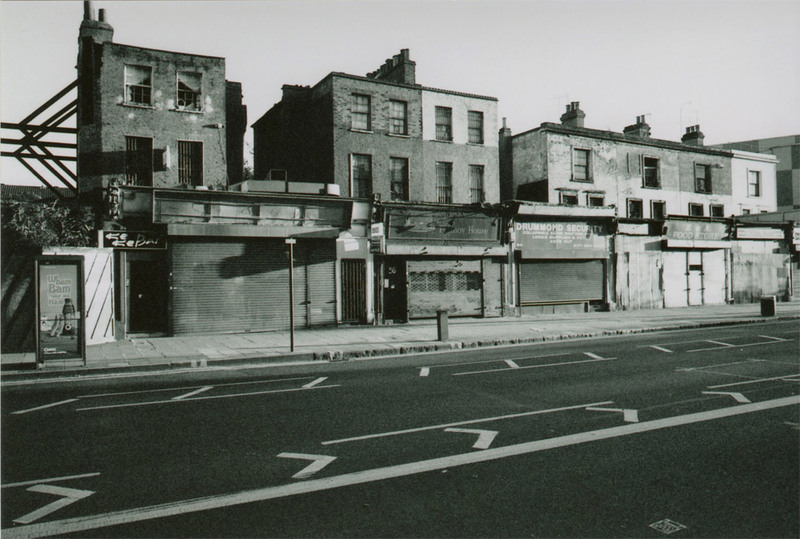 The death of Dalston Lane is the death of London. 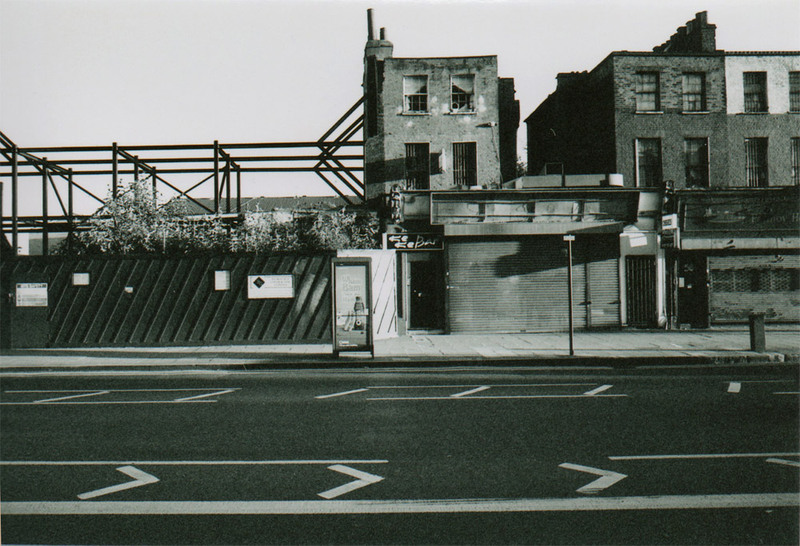 For further reading on this long-festering matter, see Bill Parry-Davies’ site Open Dalston.